Our Resource Library aims to provide background information or a brief overview for the scientific articles, papers, and videos on our site. If you have suggestions for additional Topics, please contact the Coordinator. During the destructions of the twin Towers, massive steel beams, weighing 4 – 20 tons or more, were ejected horizontally as much as 520 feet. Their motion can be examined as projectiles. Projectile motion, in situations where air resistance is negligible, consists of a vertical component accelerated downward by gravity, and a horizontal component at constant velocity, given by the horizontal component of the initial velocity. If a beam were ejected from the 95th floor of WTC1, the height at ejection is 95/110 x 1365 = 1179 feet. The time to hit the ground is given by distance = ½ x g x (time)² where g= 32.2 ft/sec² is the acceleration due to gravity. The horizontal distance traveled is given by distance = velocity x time. velocity = 60.75 feet/sec = velocity of ejection = 41 miles per hour minimum. This is a minimum velocity – air resistance will cause the horizontal velocity to decrease. Beams ejected at lower floors from WTC1, or beams that hit other buildings higher up than ground level, have less time to fall, and must therefore travel faster to reach a horizontal distance of 520 feet. Large building components were ejected horizontally at speeds up to ~70 mi/hr. A theory that buckling steel columns were severed and ejected with a spring action, a very unlikely occurrence, is not supported by the uniform debris fields and lack of observed rotation of steel beams seen in mid flight on videos. Extensive debris fields with ejected steel columns and sections of aluminum cladding surrounded the demolished towers on all sides for hundreds of feet. A very large proportion of the steel was projected outward. Only explosive force can explain the debris fields. The official account of 9/11 dismisses this indisputable evidence by entirely ignoring it. The controlled demolition theory, on the other hand, readily explains this evidence. In a controlled demolition of a building, charges are placed so as to break the structure into pieces of manageable size for easy removal by truck. Thus, the steel columns were broken and ejected by explosive force. This evidence alone is quite enough to disprove the official account of 9/11. Aluminum cladding (much lighter than steel) traveled over 600 feet. For the cladding, velocity of ejection = 48 miles/hour minimum. Air resistance would require a significantly higher velocity of ejection. The cladding was on the outside of the steel perimeter columns. How does air expelled by falling matter blow the cladding off the columns with this velocity? Again, the ejection of the aluminum cladding to great horizontal distances points to the use of explosives for the Towers’ destruction. 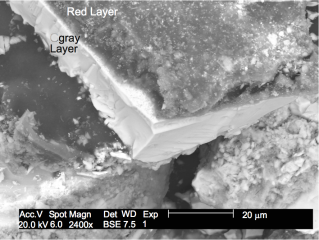 Using scanning-electron-microscope (SEM) and energy dispersive x-ray spectroscopy (XEDS) methods, Jones et al examined samples of WTC dust and found evidence of extremely high temperatures. All of the above physical processes were observed to have occurred at the WTC site during or after the building destructions. The temperatures required far exceed temperatures that would be expected from jet-fuel (kerosene) or office fires (1000 °C maximum under ideal conditions). RJ Lee Group, May 2004 – Deutsche Bank building, found spherical iron (Fe) and spherical … silicate particles that result from exposure to high temperatures. USGS found a molybdenum (Mo) spherule. The pile driver theory (Bazant and Zhou) maintains that, for each Tower, the upper portion of the building crushed the undamaged floors below. This theory is refuted in a fundamental but simple analysis of the motion of the WTC1 roofline by David Chandler. In videos of the “collapse”of the North Tower, the WTC1 roofline is seen to move downward with an acceleration of 0.64g, where g is the acceleration due to gravity. But, by Newton’s Third law of Motion (to every action there is an equal and opposite reaction), the falling block is exerting the same force, F, on the lower structure, that is, a force equal to 0.36Mg. But when the tower was intact, the upper block was exerting a force of Mg on the lower structure, and the force of resistance was also Mg. So, if the upper block is now exerting much less force (0.36Mg) on the lower structure than when it was stationary, it cannot possibly be crushing the lower structure. What has happened to the lower structure? It was undamaged. Has it turned to “jelly?” Something else must be crushing the lower structure. Only controlled demolition using explosives can explain why the lower structure is being crushed. In any genuine post mortem investigation of thousands of deaths, the question of how the bodies and bones were fragmented is a very real issue. Such an investigation would probably provide yet more strong evidence for explosive demolition. But, like all the other evidence, those in authority have steered clear of such an investigation. We might be able to make an estimate of the energy and physical dynamics required to convert a human body into bone fragments. It would a depressing endeavor though. Here are some links to articles about the bone fragments found atop the Deutsche Bank, and in a manhole. No researcher has mentioned finding bone fragments in the dust, it could be that they did not look for them, they were too small, or they were overlooked in studies that focused on the iron microspheres and red-gray chips. Professor Steven Jones first observed red/gray bi-layered chips in the WTC dust in June, 2007, and announced this discovery at a conference in Boston in December, 2007. Since then a major research effort by nine international scientists (Harrit et al) has detailed the nature of these chips. More recently, these results have been independently confrmed by chemical engineer, Mark Basile. The chips consist of a thin red layer supported by a gray layer of homogenous material. 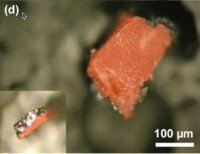 The red layer is composed of two different types of particles embedded in a porous matrix: thin, flat plates typically hexagonal in shape, and faceted grains. 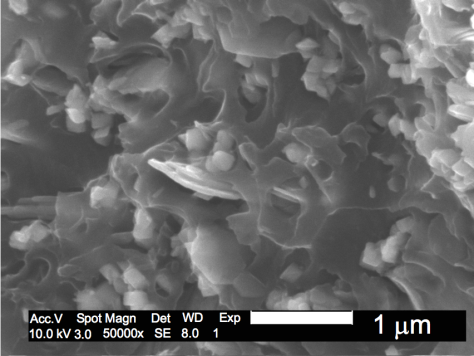 The particles are very small, consistently uniform in shape and size, and intimately mixed throughout the material. 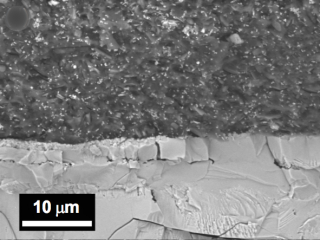 The flat plates are mostly aluminum (Al), and about 40 nanometers thick. The grains are about 100 nanometers in diameter, and are mostly iron and oxygen in the same ratio as these elements exist in the Fe2O3 form of iron oxide. The material ignites energetically at a low temperature (430° C) relative to conventional thermite (above 900° C). The residue after ignition contains iron-rich microspheres whose chemical signature matches that of the microspheres produced by commercial thermite. The reaction releases a great deal of energy, about three times as much per unit of weight as is released by conventional high explosives. Niels Harrit et al., “Active Thermitic Material Discovered in Dust from the 9/11 World Trade Center Catastrophe,” The Open Chemical Physics Journal, 2009, 2,7-31. Jim Hoffman, “Thermitic Pyrotechnics in the WTC Made Simple,” April 26, 2009.